Rachael Fothergill and Brad Crowther went to the same primary school but didn’t meet until years later, when introduced by mutual friends at a football match. 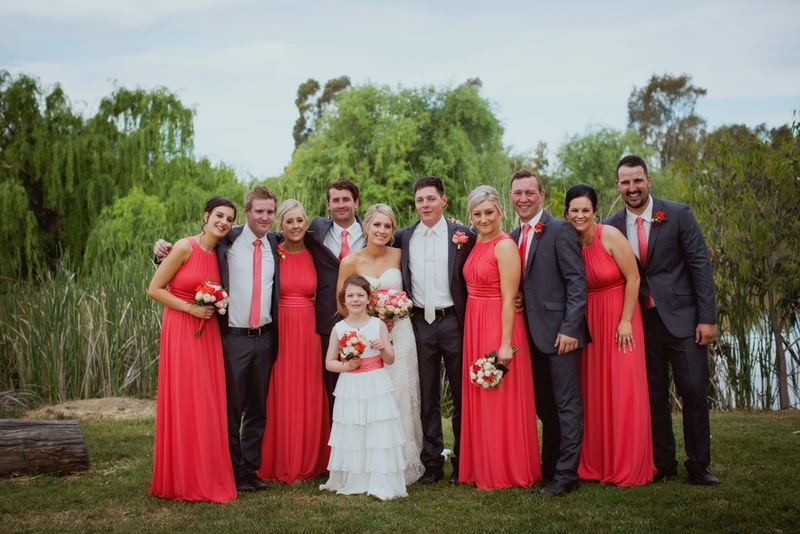 The couple celebrated its nuptials at St John’s Catholic Church, Numurkah, the same church they attended as children. RUSTIC CAKE: Four tiers of delicate vanilla sponge, filled with jam and cream and topped with fresh flowers, formed the wedding cake. 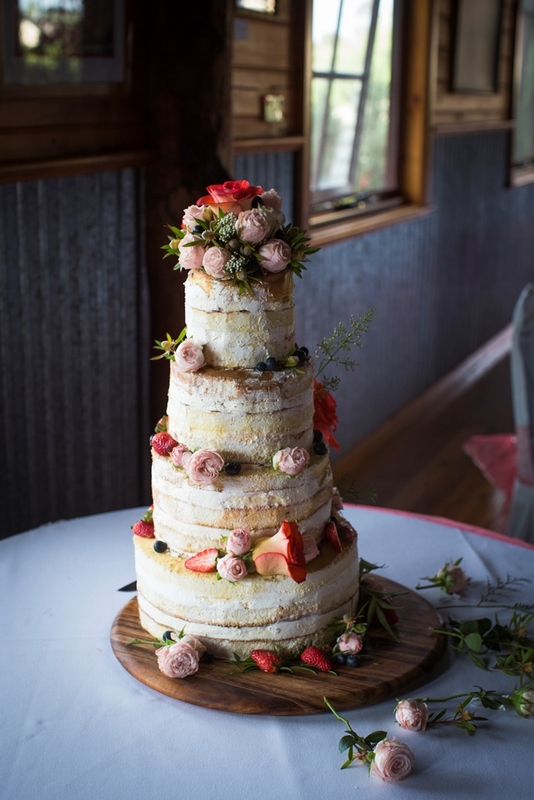 “Everyone loves sponge cake and the naked cake fitted with the rustic venue at The Woolshed, ” Rachael said. STYLISH LACE: Rachael’s slim-line lace gown was trimmed with a beige and diamante-embellished waist sash. “My dress was quite different to what I thought I wanted so I would encourage other brides to try on a few different styles,” Rachael said. VIVID CORAL: The bridal bouquet of peony roses, carnations and roses and the bridesmaids’ posies of roses and carnations complemented the vibrant colour of the bridesmaids’ dresses. “I went with the coral colour (for the dresses). I found this made it much easier when picking the flowers as I could use real flowers rather than artificial ones,” Rachael said. MEMORIES TO CHERISH: “The most memorable part of the day for me was waking up early with the excitement of getting ready with my best friends and amazing family. The morning went so quickly and before I knew it I was walking down the aisle with the very first man I’ve ever loved (my dad),” Rachael said.